Dr. Prakash Sathe has been a part of the RGBSI’s executive team since 2010. 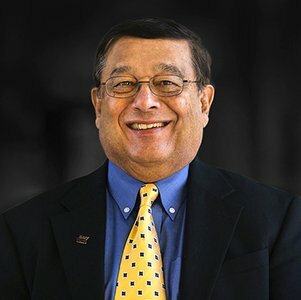 Holding a Ph.D. in Industrial and Operations Engineering from the University of Michigan and an MBA from the Michigan State University Executive Management Program, Dr. Prakash Sathe brings extensive and successful leadership experience from the automotive industry. He has worked over 25 years, both at OEMs, as well as at first tier suppliers. His experience includes Director of Reliability for Electrical Steering at TRW, Director of Warranty and Reliability at Chrysler, Volkswagen, ALPS, Donnelly Mirrors, Behr, and Continental Automotive Systems. He has a US patent for reliability testing and forecasting methodology. He has consulted with Fiat, Renault, Volvo, VW/Audi, Mack truck, and other OEMs and first tier suppliers. His expertise includes DFSS; design reviews based on test results and failure modes; FMEA; product risk assessments; detailed guidance on OEM expectations for small companies; consumer centric warranty; accelerated reliability testing and forecasting; correlating bench test results with 90th percentile customer field requirement; reduction of down-time for production facilities and time-to-market for new products; durability (QRD) consulting for electrical and electronic products; and communicating with the customer to establish product specifications and provide quality and reliability. He has consulted successfully and extensively Lean Production and Six Sigma implementation, product reliability improvement, warranty cost reduction arena and has developed world class best practices in warranty management. He is also a well-known consultant/trainer in the implementation of IATF 16949:2016, AS9100:2016 Rev. D, ISO 14001:2015 & ISO 9001:2015 Quality & Environment Management system requirements.